This discussion was created from comments split from: Pop quiz, hotshot [Who Framed Roger Rabbit nerdery]. 1. You may construct neither your question nor your answer with anything other than your memory. 3. There's no running score; the goal is not to stump. It's the love the game and stretching 5% further into the Python universe than you thought you knew. 4. Don't interfere with challenges not directed at you. Why is there no "Monty Python and the Holy Grail" version of this game? Because nobody expects the Spanish Inquisition. That's from Flying Circus. You fail. Go and boil your bottoms, you sons of a silly person. I'm well aware it wasn't from Holy Grail. @Kwitko‌ Pop quiz hotshot: "This bird is" what? "It has" what? Edit: I'm going with general Monty Python universe trivia, why narrow it down to one film? @BobbyDigi‌ pop quiz hotshot: Which three members are supposed to burst out of which wooden object, taking the French completely by surprise? Pop quiz hotshot: What is the airspeed velocity of an unladen swallow? Pop quiz hotshot: What, african or european swallow? The animator had a fatal heart attack. @Kwitko‌ - Pop Quiz, hotshot: How do you know she's a witch? Pop quiz, Hotshot: How do you know so much about swallows? @CB - You just have to know these things when you're a king. Kwitko‌ - Pop Quiz, hotshot: How do you know she's a witch? If she weighs the same as a duck...then she's made of wood, and therefore A WITCH!!!!!!!!!!! @CB Pop quiz, Hotshot: What weapon is used to defeat the dreaded man-killing rabbit and what is significant about it. Because there were no survivors of the people eating rabbits. I prefer "The Meaning of Life"
Why are people answering each others' questions????? "This parrot is no more. 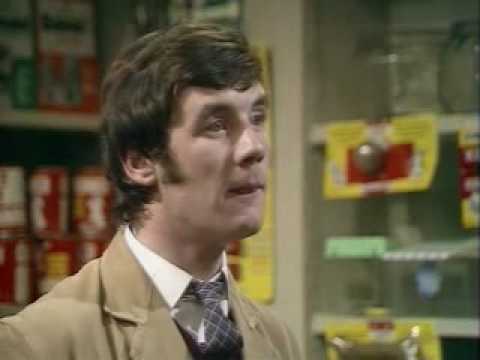 It has ceased to be"
Let's make this general Monty Python. Full credit granted since I replaced Parrot with Bird in the original quote. BobbyDigi‌ pop quiz hotshot: Which three members are supposed to burst out of which wooden object, taking the French completely by surprise? Editing the first post to add the Pop Quiz rules as defined by Linc. @AlexDeGruven‌ Pop Quiz Hotshot! Where was Brian during "Always Look on the Bright Side of Life"? AlexDeGruven‌ Pop Quiz Hotshot! Where was Brian during "Always Look on the Bright Side of Life"? It's an outskirt... More John Cleese and less Monty Python. Throw em out there. I, for one, probably won't know most of them. CB Pop quiz, Hotshot: What weapon is used to defeat the dreaded man-killing rabbit and what is significant about it. The Holy Hand Grenade of Antioch, basically an explosive version of the Holy Orb bestowed by God unto Attila the Hun (St. Attila), is used to defeat the rabbit with fangs like THIS. It has many significant properties, including a very specific number which must be counted to in order that it may be thrown (Two is not enough, unless you proceed to three afterward, and four is too much. Five is right out). Also, angels sing when it is thrown. @Ilriyas Pop Quiz, Hotshot: What punishments do the women of Castle Anthrax demand from Sir Galahad? @BobbyDigi‌ Pop quiz, hotshot: What kind of commune did the filth-farming peasants live in?